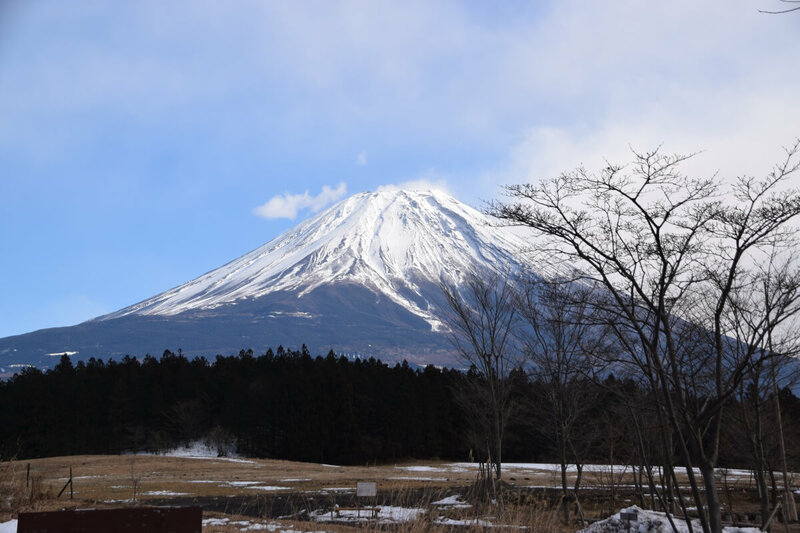 It’s highest mountain in Japan, so we can see it from many places. In this post, we introduce where is the best viewing spots. This is one of the most famous viewing spot for Mt. Fuji. Here was not famous in Japan, but this picture was featured in abroad then many tourists including Japanese visit there. In spring season, you can see Mt. Fuji with beautiful flowers. There is a picture of Mt. 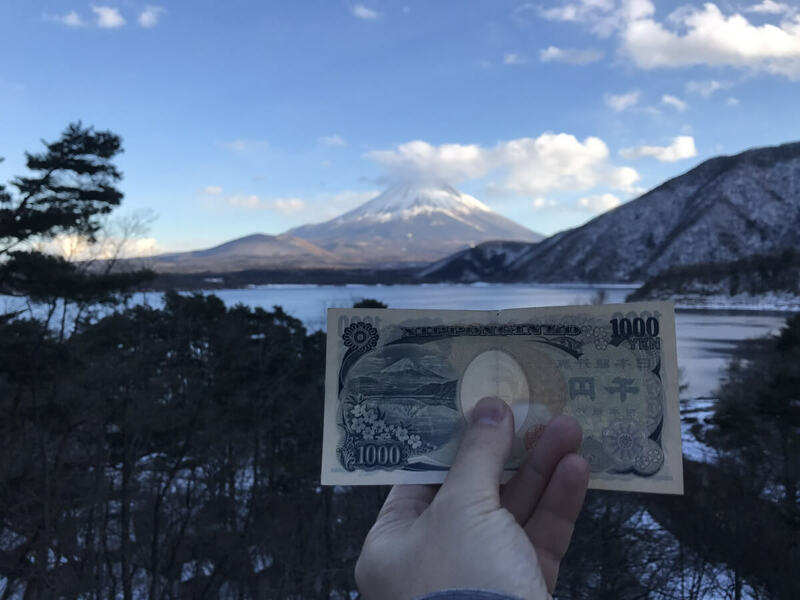 Fuji on 1,000JPY bill. If you would like to see same Mt. 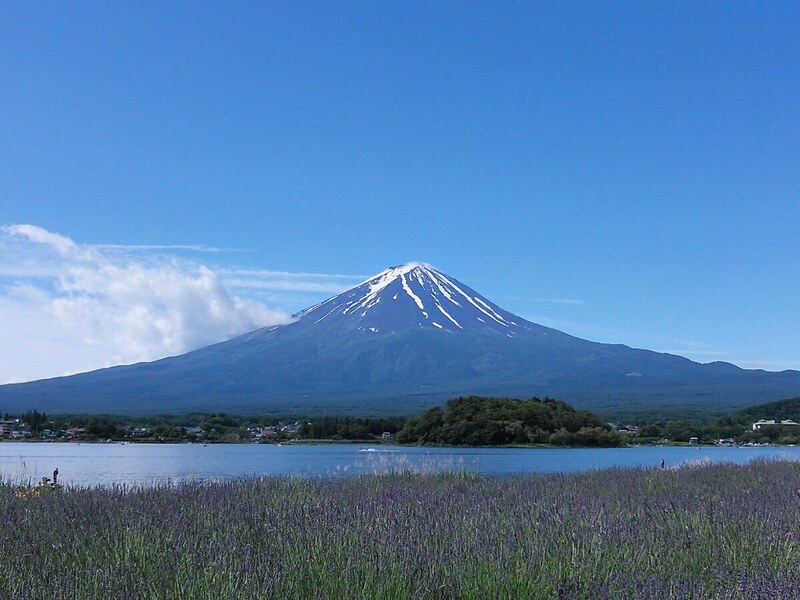 Fuji, go to Motosu lake. This is one of the most beautiful Mt. Fuji! 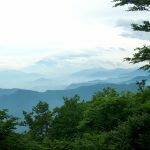 Asagiri kogen is not famous to watch the Mt. Fuji. But we would like to recommend because you can do paragliding at here. It’s really unique experience to do paragliding with this beautiful Mt. Fuji! 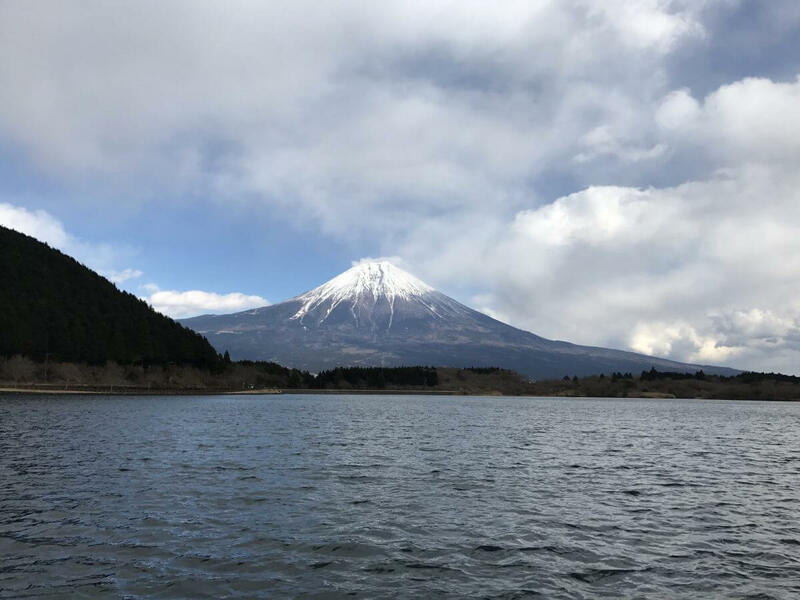 Tanuki lake is located at west side to Mt.Fuji. West side is the point of this place. Sun rise from Mt. Fuji! 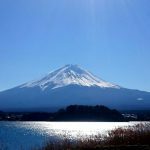 If you are lucky, you can take Diamond Fuji. 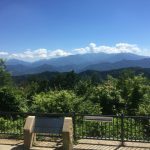 At Arakurayama sengen park(No.1), we can take Mt. Fuji with chureito (5 stairs pagoda). 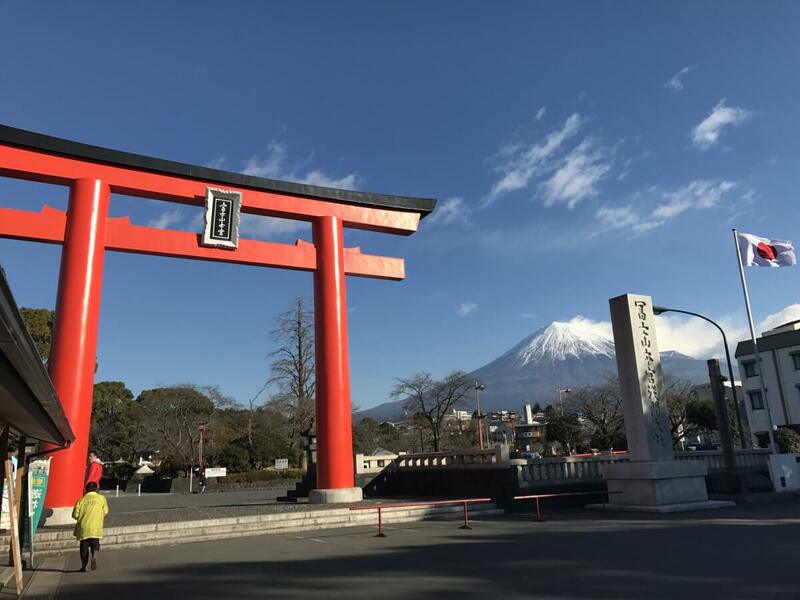 At Fujisan Hongu Sengen Taisha shrine, we can take Mt. Fuji with Torii (red gate). It’s the head shrine of 1300 Sengen Shrine. Miho no Matsubara is a scenic area on the Miho peninsura in Shizuoka city. Its seven-kilometre seashore is lined with pine trees. Awashima Marin park is located south to Mt. Fuji. You can find beautiful Mt. 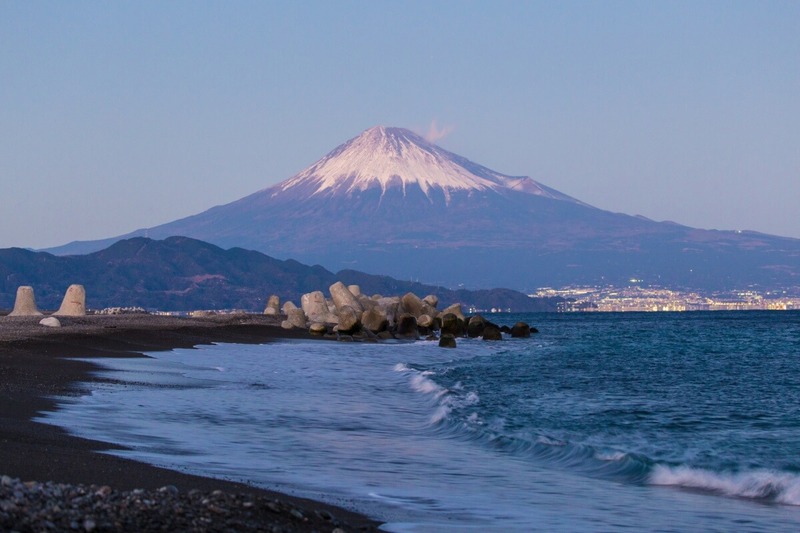 Fuji from seaside. 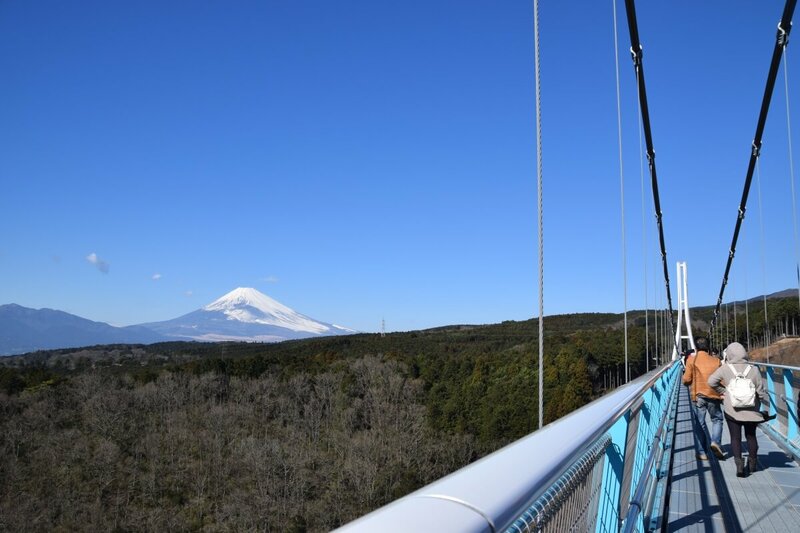 Mishima sky walk which was open from Dec. 2015 located in Mishima City, Shizuoka. It’s longest pedestrian bridge in Japan which length is 400m. 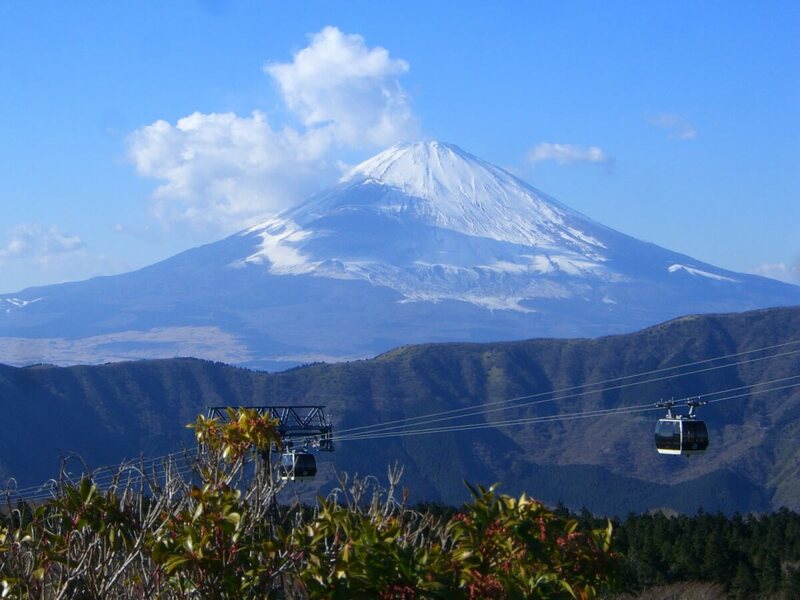 From Mishima sky walk, you can find beautiful Mt. Fuji. 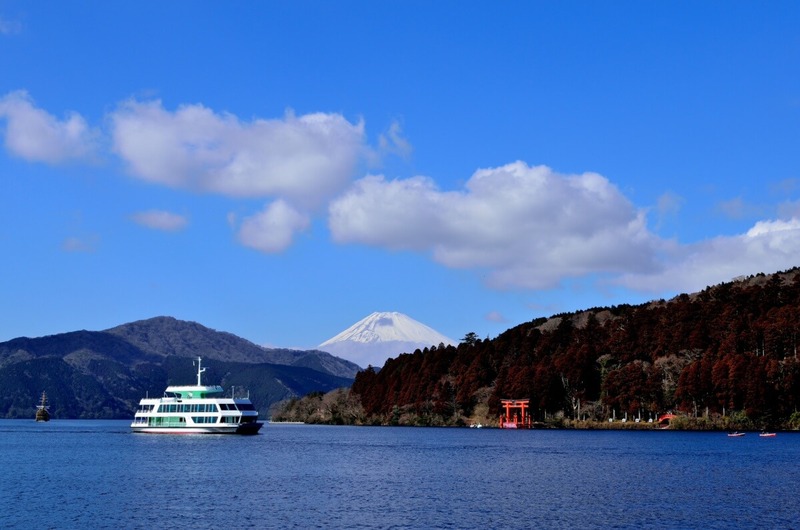 Many tourists want to go to Hakone and you can see Mt. Fuji from Hakone. Narukawa art Museum is one of the best viewing spot near Ashinoko lake. Owakudani is one of famous sightseeing spot in Hakone area. Mt. Fuji is so high so we could see from Tokyo! In sunny day, we can see Mt. 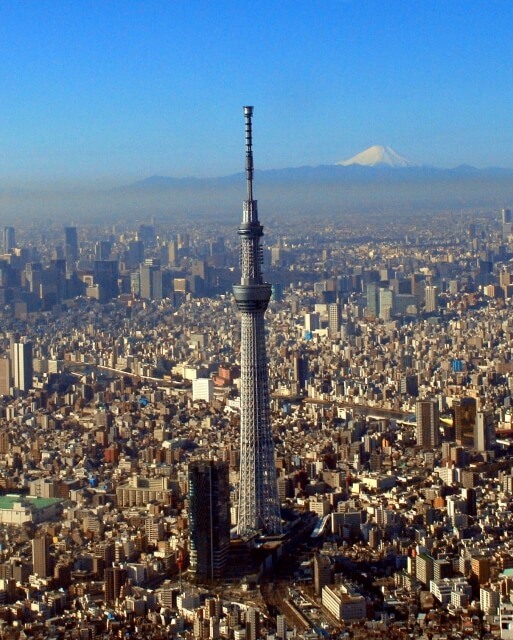 Fuji from many place in Tokyo and Skytree is one of the best viewing spots in Tokyo. The ratio of the number of days we could see Mt. 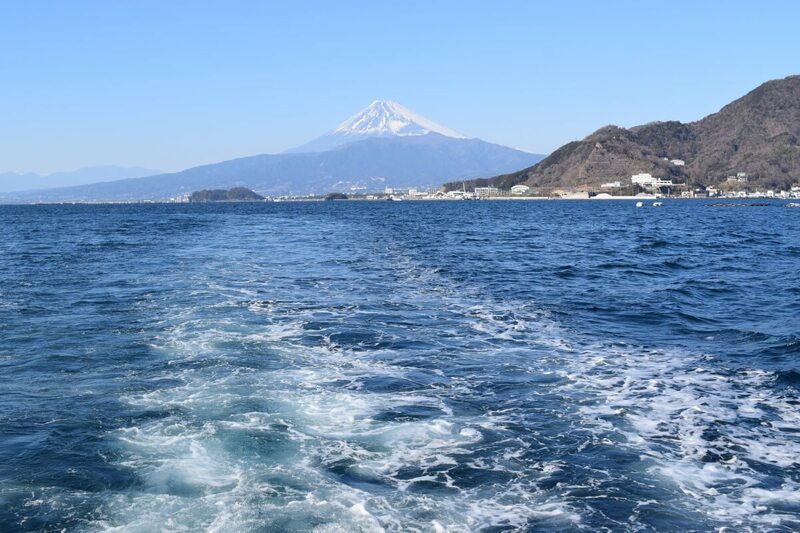 Fuji from Fuji city, Shizuoka (mapped No.6) in 2018. 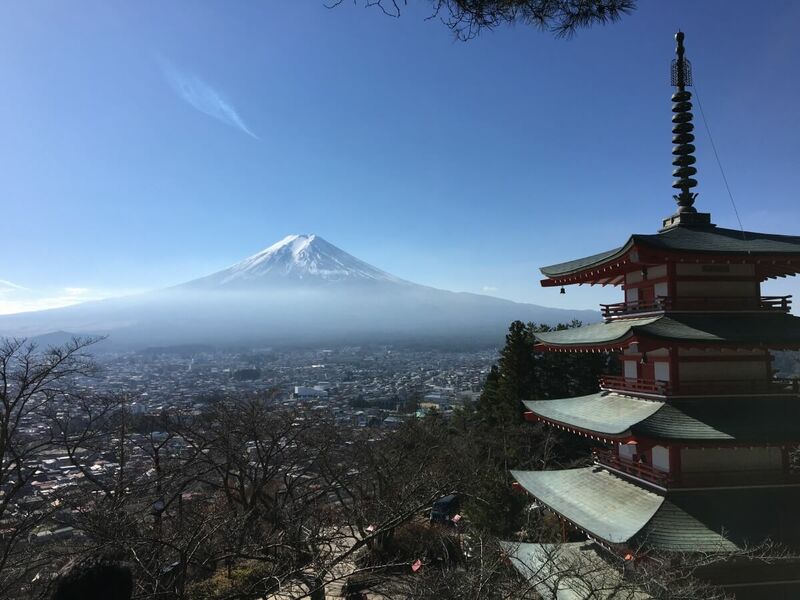 In January and February, it’s coldest months in Japan so traveler is not so much. But there are so many sunny days and air is clean. So over 70% of the month, we could see Mt. Fuji. On the contrary, we could see only 30% of the month in summer season. There are lots of beautiful day, but there are cloud around Mt. Fuji so we couldn’t watch well. If you couldn’t watch Mt. Fuji, don’t be disappointed. It is said that Mt. Fuji is hidden from our view when Mt. Fuji find a handsome guy or a beautiful woman. Please join any tours and ask a guide! To climb Mt. Fuji is really valuable experience. Actually it’s highest mountain in Japan but it’s not difficult to climb. But mountain hat is open only July and Aug. If you would like to climb, please go in July and Aug. Recently it’s too busy. So we recommend you should book mountain hut in advance.